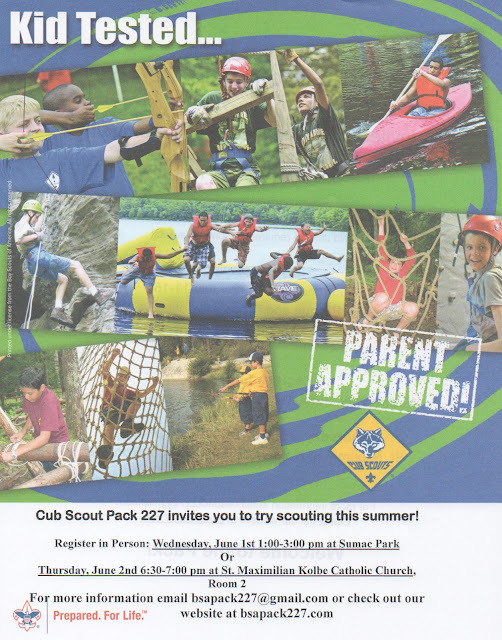 Pack 227 is offering "Head Start" registration. Interested boys who will be entering 1st-5th grade are invited. Join now for June, July and August. $20 includes a pack T-Shirt. No uniform required for summer events. and enjoy fun summer activities with your den. Regular annual registration (Sept '16-Sept '17) begins in August.